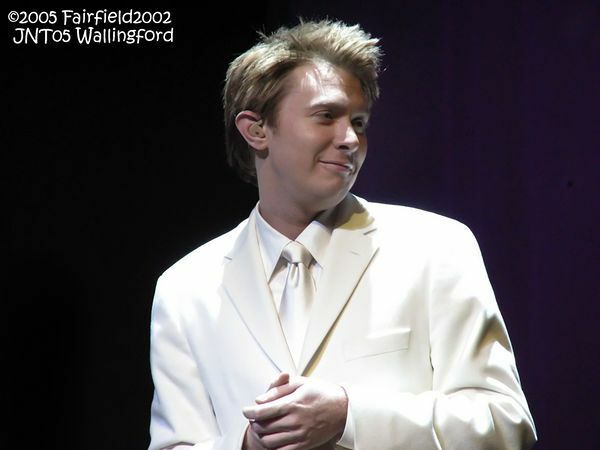 In 2005, Clay Aiken traveled around the USA and presented The Joyful Noise Tour. It was more than a concert, but still highlighted the wonderful voice of Clay, backed by his accomplished back-up singers. It was fun to see how Clay used some talented actors and singers from his hometown of Raleigh. He also used capable performers from local theater groups from the area of the concert. Did you get to see this concert live?? I was lucky enough to see it twice. Because of the talent of so many fans, we have many wonderful pictures from that tour. Please vote for your favorite picture. This will be hard!! Please don’t forget to submit your Christmas Carols in the comments of the December 5th article. Today is the last day!! Sure I can't vote for them all? All these Clay Aiken photos look great. It was hard to choose between #4, #6, or #7, but photo #6 won out. This is difficult…I love all the pictures…but I have always loved #4…. "Good News"……My wish one day is for Clay to record that….I was fortunate to see Clay in Youngstown, Ohio, and then shake his hand after the show…..It was a perfect evening…. Wonderful Tour and such nice memories! I was lucky enough to see it a number of times, also. Hard choice on the pictures ~~ so many great ones!! 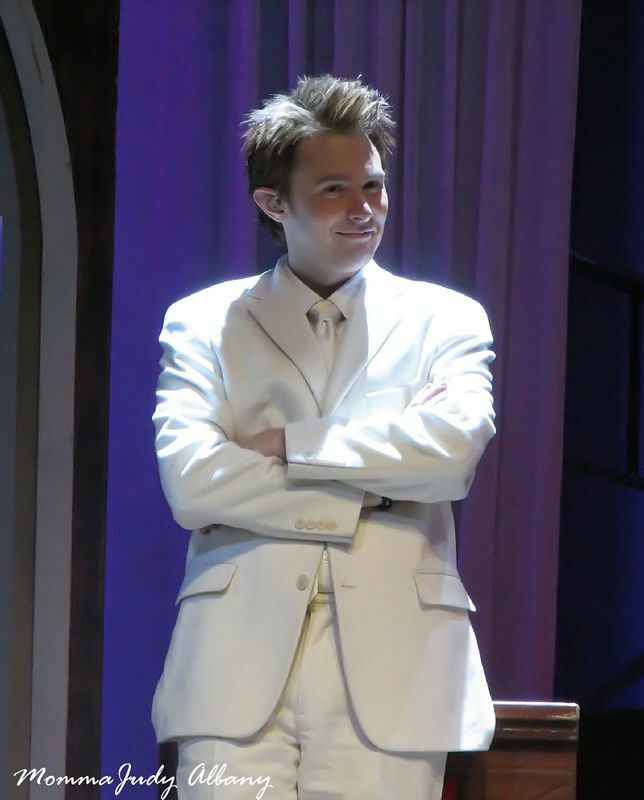 I miss Clay touring at Christmastime!! I did not get to see this tour (I'm sure you've all heard the story a million times – the only tour that came to my city and I did not go *kicks self yet again*) but I do have a friend who performed with him that night. He told me that Clay Aiken is the most gracious man he's ever met. 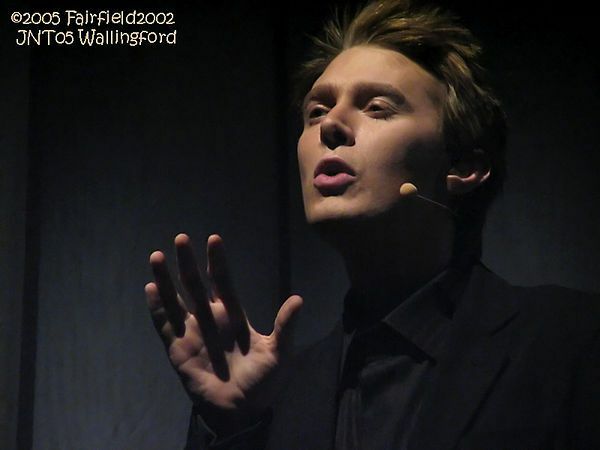 Clay Aiken is so beautiful it's difficult to choose just one! Can't I have them ALL?! One of several wonderful Christmas tours. 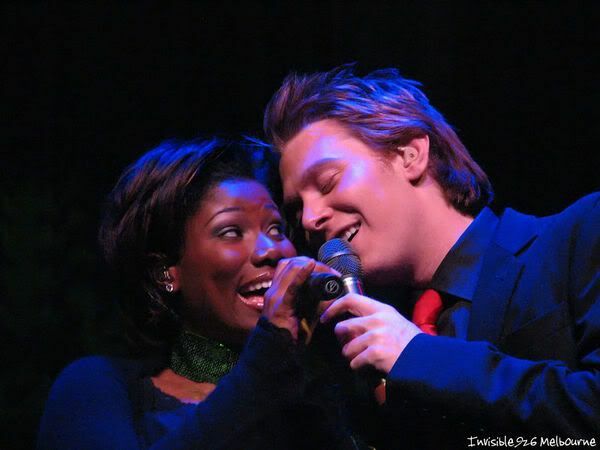 Loved them and love all the pics of Clay Aiken. I'm looking forward to 2010 hoping there will be a new album and a new tour. Really hard to choose just one!! BUT did vote for Good News. Would love to have seen this tour! Thanks to all who made viewing possible through your web talents!! Looking forward to much more of Clay's beautiful voice in 2010!! Pray ALL goes wonderfully well for him!! This is really hard. I want to vote for all of them!! I was lucky enough to see this concert live. Sue, I love the story about your friend. Clay Aiken certainly is a most gracious and kind man. 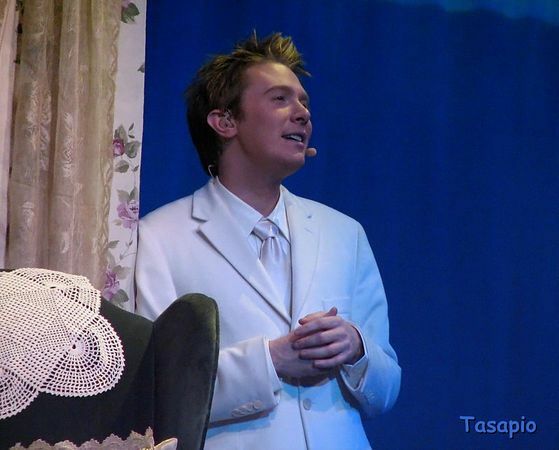 It's almost impossible to vote for just ONE favorite picture of Clay Aiken. I finally did settle on one, but there were several there that are favorites. The camera just loves our fella! All the Pictures are great!! Clay looks gorgeous on all of them..hard to choose just one! Voted for one of my fav's. JNT2 in '05 was the only time I have been to a Clay concert (so far). I'll never forget it. I saw JNT2 in Portland and Eugene. Only Christmas tour of his I have seen live! I had a hard time picking a picture..love them all but went with #4. Each and every picture is superb! What a gorgeous man! I went with #4 also. I saw every Christmas tour that went to the west coast. It was a hard one…but I voted for #4 Good News. This song was just so beautiful. I got to see this Show in Melbourne, Florida at the King Center. It was an amazing show…especially seeing him singing Good News at the end of the show. Drove down to Cincinnati with a friend to see Clay. He performed in a beautiful old music hall and the night was sparkling with his music and love from us to him and back again. It was his birthday, and I sent a card backstage and always wondered if he received it. 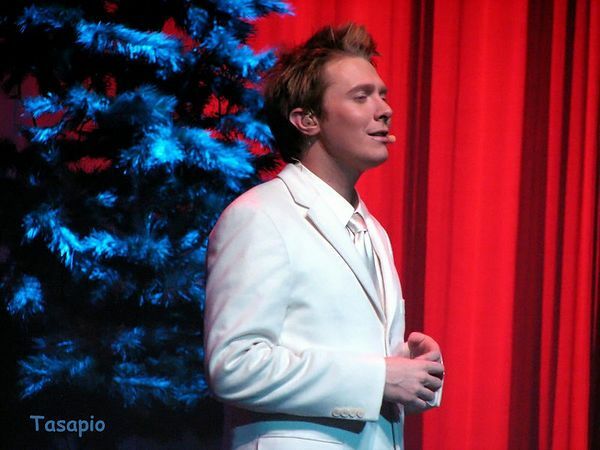 I was lucky to see this Clay Aiken concert twice, once in Phoenix, then I flew to Florida and saw it with my concert buddy, I think it was just wonderful specially since Clay wrote the "play". #4 has a WOW effect on me. Error: Error validating access token: Session has expired on Tuesday, 21-Aug-18 16:13:01 PDT. The current time is Thursday, 18-Apr-19 11:50:46 PDT.